Latin Trap artist Bad Bunny has been making quite an impact in 2018 so far. With his feature on Cardi B’s hit single “I Like It”, Bunny was able to gain exposure to a whole new audience. 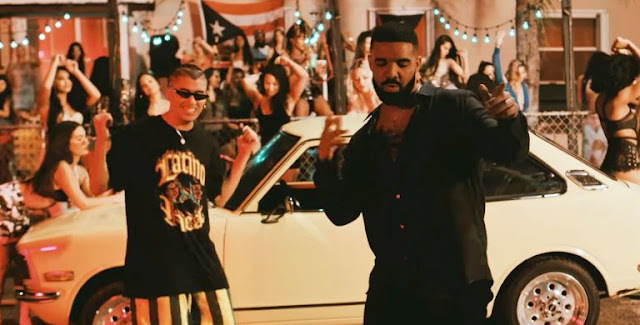 The Latin Trapper is gaining a whole new audience yet again with his new collaboration with Drake, “Mia”. To the surprise of many, Drake runs through his verses in Spanish on new track. Drizzy often explores other cultures in his music, but this is his first song with a full verse in another language. In the “Mia” visual, the two artist turn up at a night time block party, entertaining guests and dancing.